This is a recipe that is taken and re-worked from a French recipe for Canard Aux Framboises that I found in a book one time a few years ago. Score the duck breast through the skin and fat, but not deep enough to the meat. See below. Heat frying pan and fry the duck breasts (skin side down) until the skin is brown and the fat runs out. Remove the duck from the pan and remove the remaining fat in the pan. In a separate bowl, combine cinnamon, salt and demerra sugar. Sprinkle this mixture over the duck breast skin. Then press it into the skin adding some black pepper. Reheat the frying pan and replace the duck breasts with skin side facing upwards. Cook for 15-20 minutes. Be careful here as depending on the thickness of the duck, you may need to leave them cooking significantly longer at a lower heat. It is desirable that the breast is 'rose' but ensure that it is not undercooked. Remove the duck and leave to rest on the bench. Mix wine and de cassis in a jug. Pour 1/3 of a cup of the mixture into a small bowl and mix with cornflour and then return to the jug. Again pour out the excess fat from the pan leaving approx 2 tablespoons. Reheat the pan and pour in the sauce. Simmer for 2-3 minutes whilst stirring until the sauce thickens. Add raspberries and continue to simmer for another minute or so. 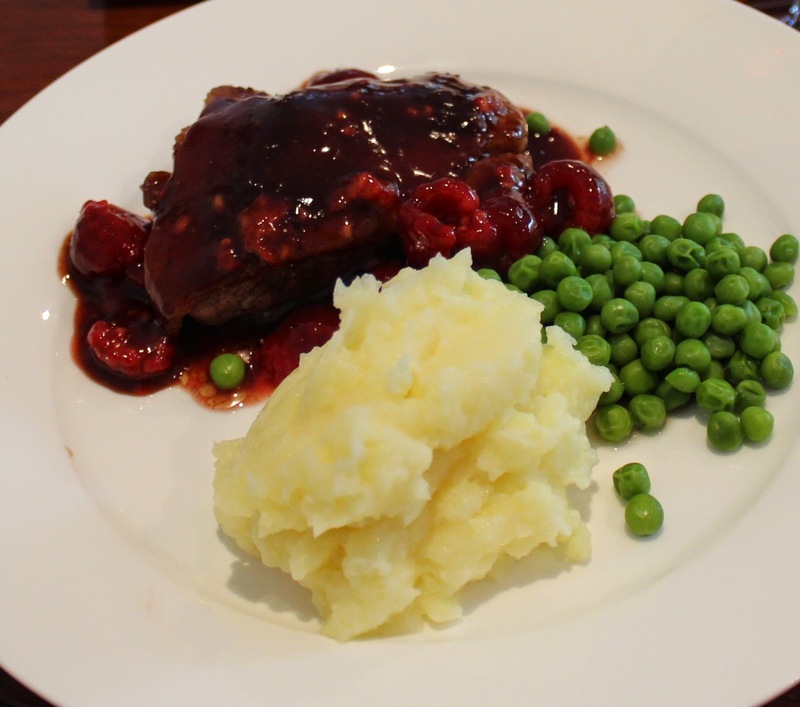 Then serve the duck breasts on a plate and spoon over the sauce and raspberries. Here is the finished result at Christmas time.